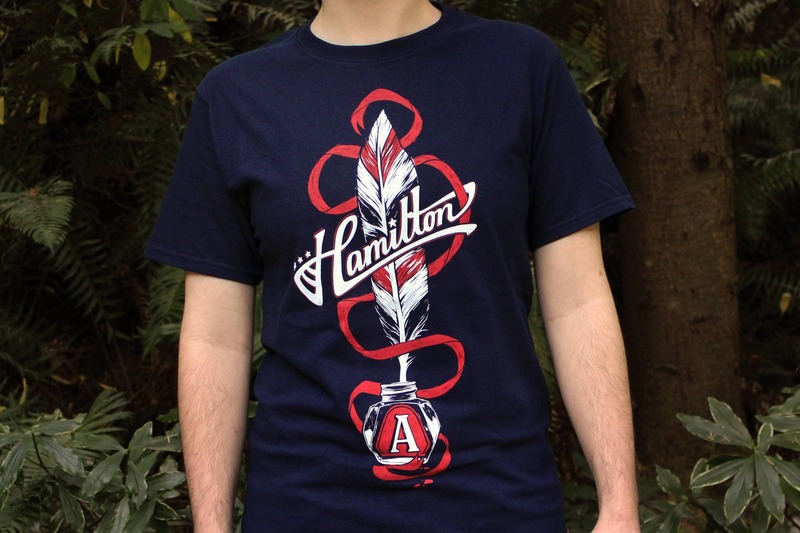 I know a lot of you were waiting in the wings for me to do a Hamilton shirt, and here it is! 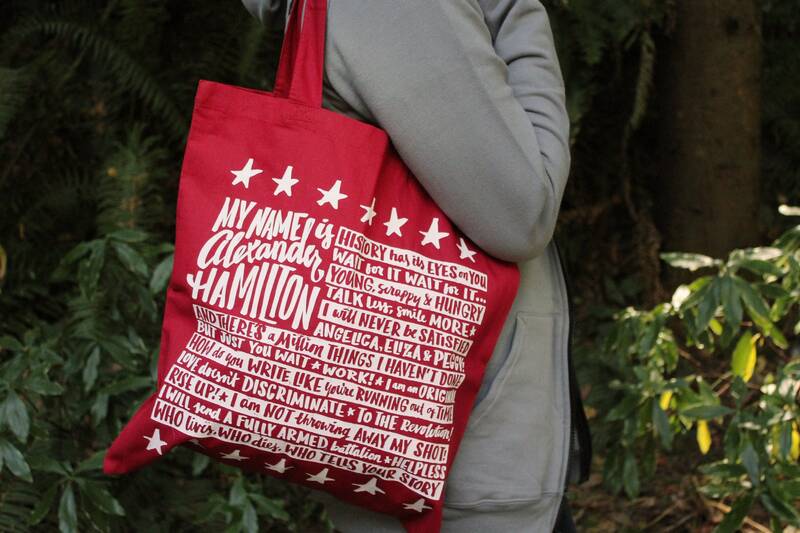 I cannot wait for the show to come to Seattle so I can see it in person, I’m so jealous of all the people who actually get to see the Broadway cast! 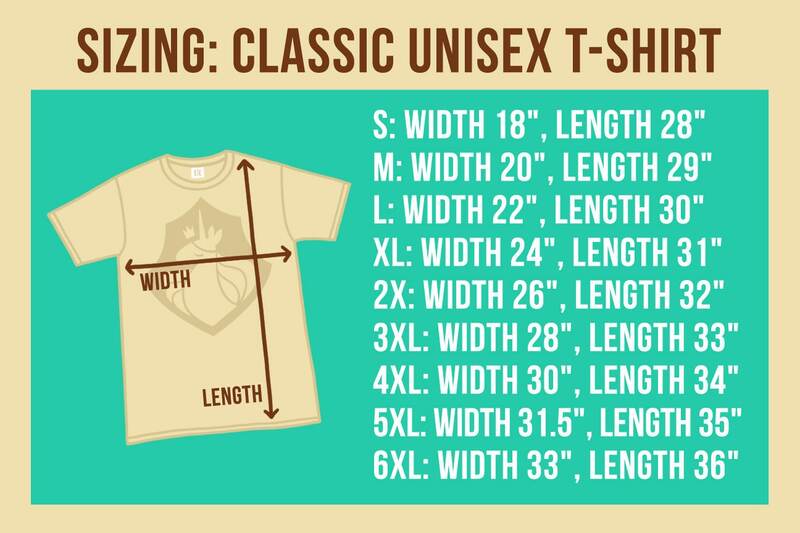 Every Unicorn Empire shirt is printed with care by our team right here in Washington State. 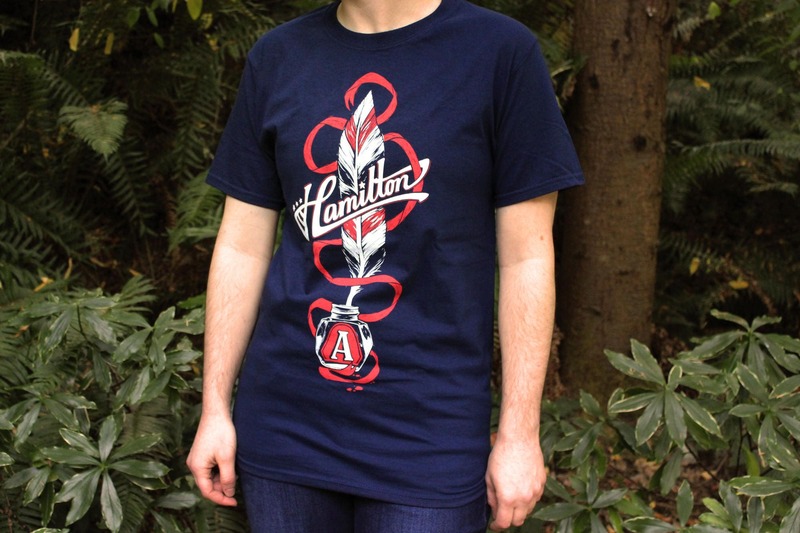 We print with high quality, water-based inks and use traditional hand screen printing techniques, making our shirts uniquely soft and durable. 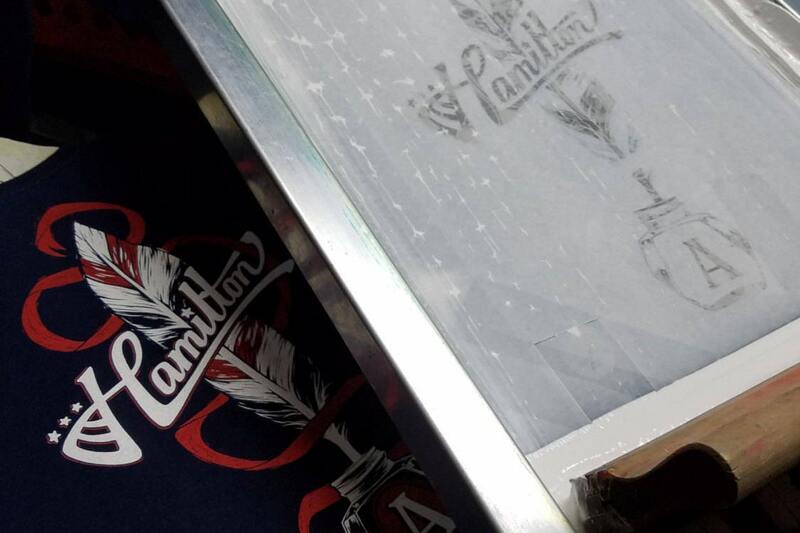 When you order a Unicorn Empire tee, you can count on receiving a unique piece of wearable artwork that will last for years. 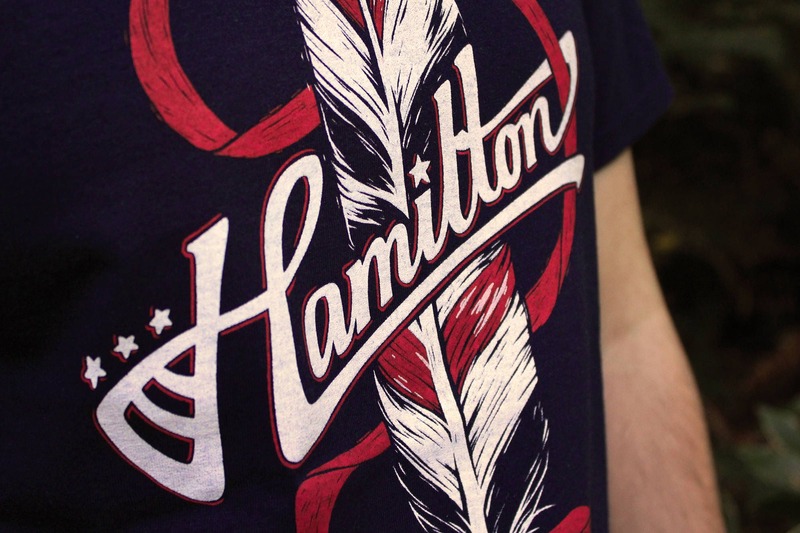 This Alexander Hamilton shirt is hand screen printed with red and white ink on navy blue. 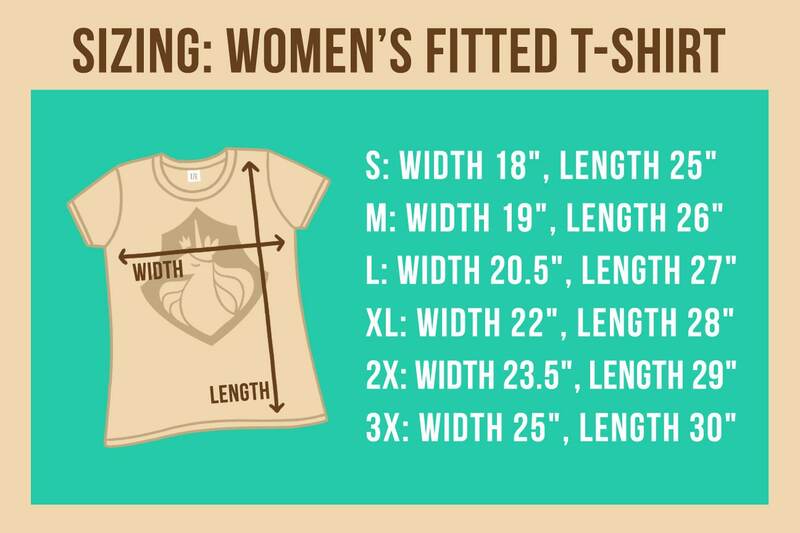 It is available in two fit options and in plus sizes up to 6X. 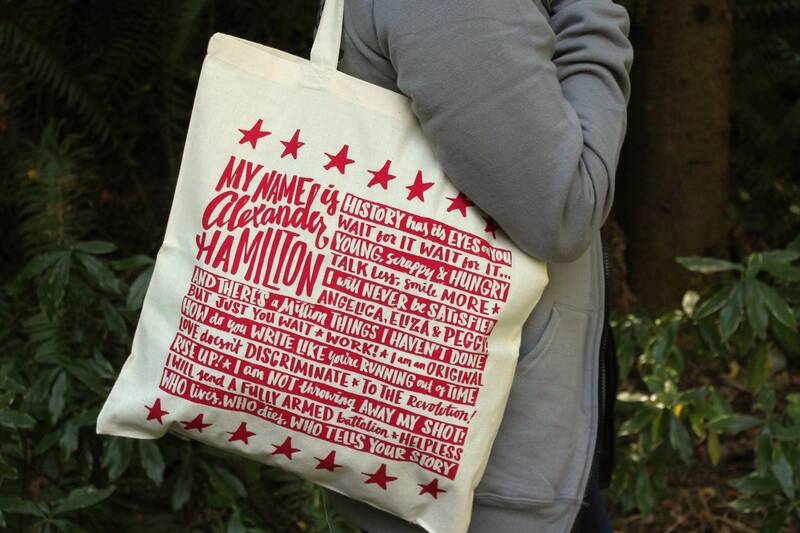 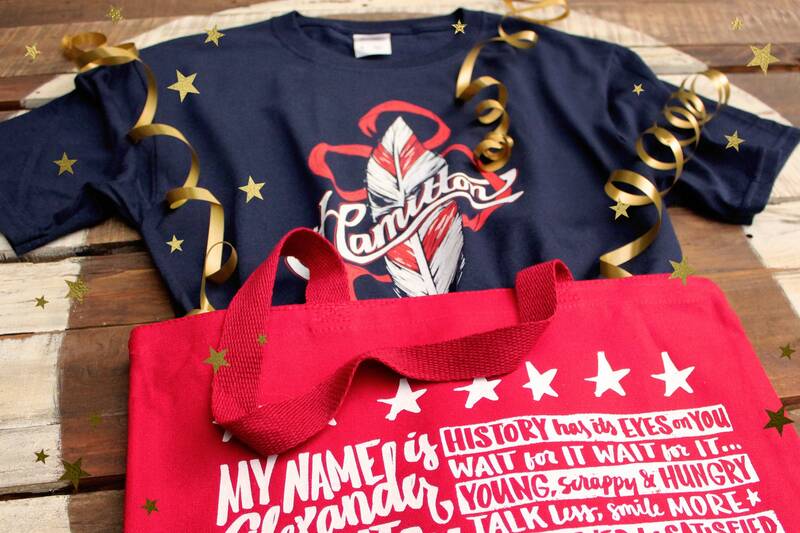 Alexander Hamilton tote bag featuring Hamilton quotes arranged in the image of the American Flag. 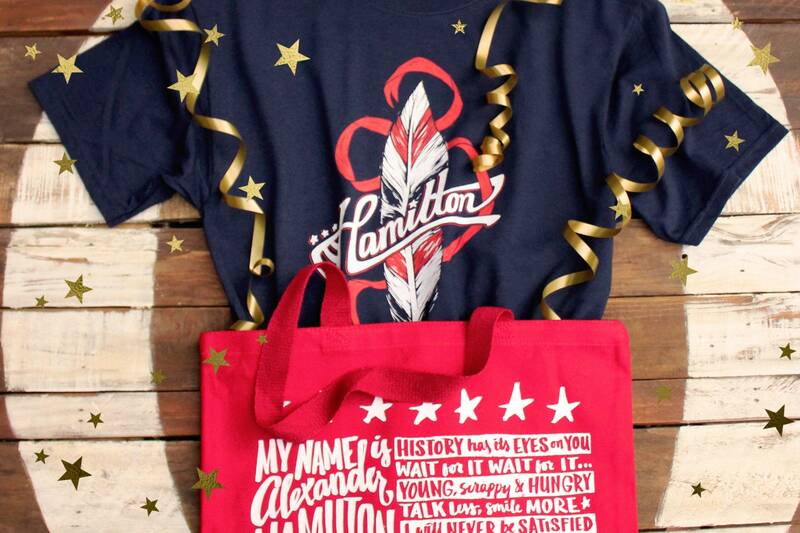 Perfect for the Hamilton tickets I got for my daughter's birthday!